Hey Kiddies, its that time again. 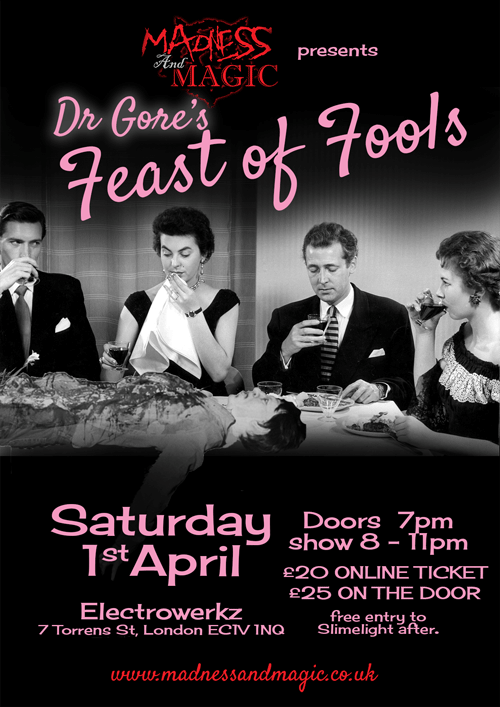 Dr Gore wants to invite you to dinner and a show with some of his friends this April fools day. With a hot line up of some world class acts how can you refuse. and it will be our pleasure to have you for dinner. Updated info on the Facebook event page here. Free entry into slimelight after.